DUCK ISLAND PARTNERS (DIP) WILL OFFER 16 EXCEPTIONAL BLACK COMPOSITE BULLS ON THURSDAY 9TH MAY AT NABEROO CATTLE YARDS, FROM 2.00PM – 4.00PM. DIP considers that the Helmsman Sale system to be the fairest available. 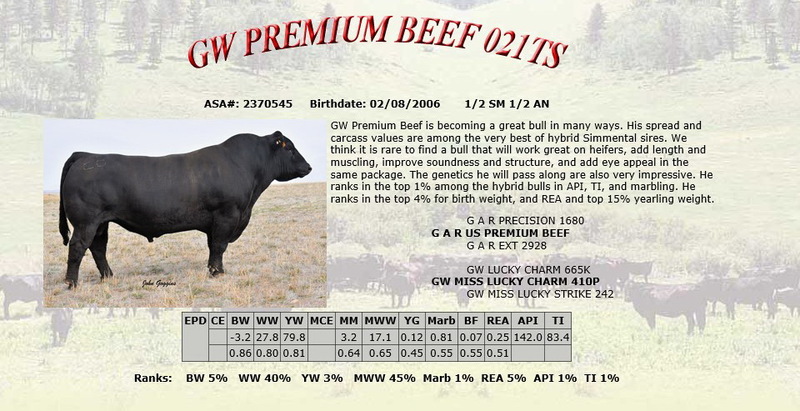 Bull will have a Lot Number, a designated Pen, and a reserved price. Purchasers will be able to make their selection from 2.00pm. HELMSMAN SALE – NABEROO THURSDAY 9TH MAY 2.00PM – 4.00PM. 2.00 – 4.00pm all Composite Bulls for inspection. 4.00PM – Sale commences. All bulls on market. Bids by card registered with receptionist. Open bidding at Reserve or better. Bids no less than $100. Bids recorded on large board. Can bid on any number of bulls. No pressure to bid again. If first choice beyond limit, can still bid on other bulls. 4.00PM Sale begins for 15 minutes. A registered bid in last 2 minutes extends sale for 2 minutes. Any further bid does the same ends when no further bids for 2 minutes. Once submitted and registered, a bid cannot be retracted. Duck Island Partners run 3,200 Composite commercial cattle. The on-ground performance and prices achieved in the market by DIP Composites set standards that confirm DIP’s reputation for innovation and leadership in the Australian cattle industry. Temperament, fertility, calving percentages, structural correctness, weight gains and meat quality underpin the fact that diversity is strength in every aspect of cattle management and production. Duck Island Composites are without peer. According to the results of the 10th Annual Southern Grassfed Carcase Classic (Oct 2017 – Feb 2018) , DIP can claim to be the most consistent and successful large-scale cattle breeder in the Carcase Classic in the 320 -420 kg class. Duck Island Composites are Teys Grassfed Pasture Standard, MSA and EU accredited. There are three basic elements that need to align for maximum productivity: seasonal conditions, on-ground environmental management and genetic quality. The benefits of good rainfall in 2016 and 2017 did not continue after winter in 2018 . A dry spring followed . From mid-October through September there was no rain. November and December each had one rainfall event. Since then 2019 has been very dry – 12ml in total for more than 3 months. Keeping cover on the ground is even more important in difficult seasons. 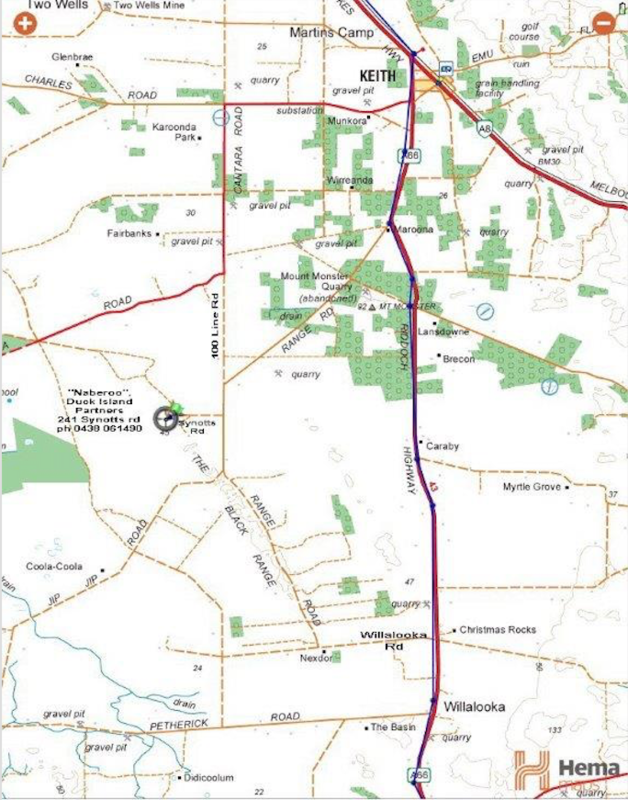 Pasture has been carefully managed with as many paddocks as possible being rested for long periods following regenerative agriculture principles. April 2019 and DIP has still areas which have not been grazed since before spring 2018. The discipline of resting ground delivers significant environmental and production benefits, most notably diverse pasture health, extended grazing periods and significant weight gains. Over many years DIP Composites have drawn their genetic strength from the bloodlines of a range of proven, top-performing USA sires through the recommendations of Southern Cross Genetics. In autumn and in the spring, between 125 and 145 heifers are AI’d to those elite sires to calve at 2.5 years – the optimum age to calve for British x European bred cattle. (Autumn-drop heifers calve in the spring and spring-drop heifers in the autumn). A stringently critical on-farm bull selection process is undertaken at 6 months of age to determine which DIP bull calves are to be kept entire. All others male calves are grown out as steers with a focus on the lucrative EU market. In spite of the dry conditions, DIP cattle have continued to flourish and sales over hooks have produced consistently strong results. Between October 18 and Jan 19, 170 EU steers were processed by Teys with not one penalty and an average price above $5.70/kg. 170 steers were processed by Teys. One did not make either EU or MSA. Two did not make MSA but were EU. All 170 were without penalties and 169 made the EU at an average price above $5.70/kilo. 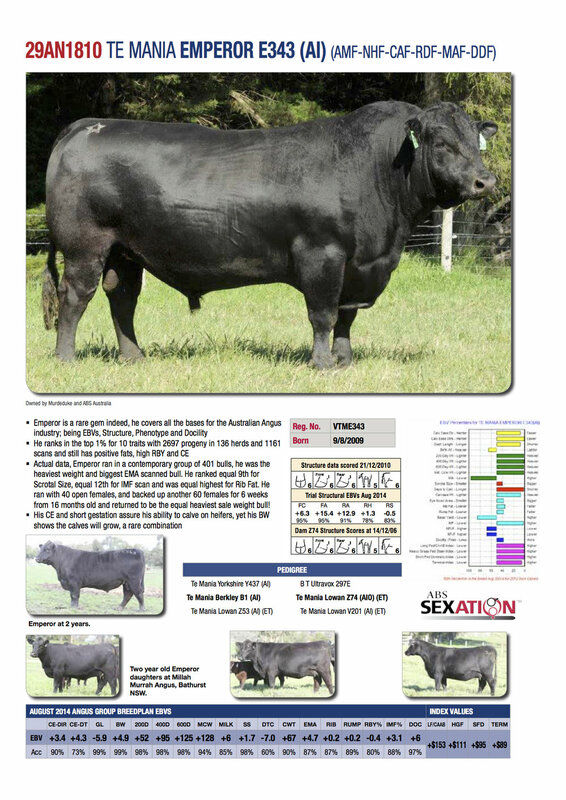 The 16 DIP Composite bulls for sale are exceptional, paddock-reared animals. They are backed by 43 years of on-ground performance recording and evaluation. (DIP considers we measure, record and know – and cull - our animals as comprehensively as the most astute cattle breeders in the Australian beef industry). DIP Composite bulls are soft, big-bodied, high growth, structurally correct animals with great style and quiet temperament. 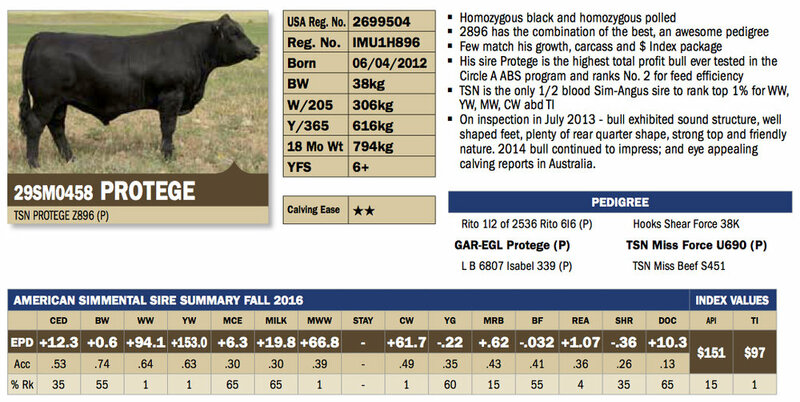 13 out of the 16 bulls on offer carry the double-black homozygous black gene. 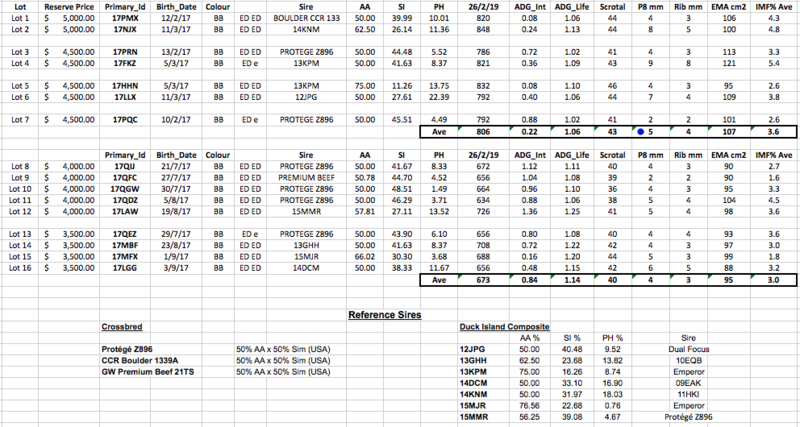 All are homozygous poll. I consider the overall performance figures of the 2019 bulls are solid (with notable stand-out exceptions) in comparison with the overall brilliance of the bountiful seasons that led to 2017 & 2018 bull performance figures. I have great confidence in the actual performance of the 2019 offering. Their ability to do well in a tough season speaks for itself. My confidence extends to the 2019 offering being comparable to the best of previous years when the opportunity arises. DIP saw little value in being part of the SA Beef Field Days. DIP sees value for bull buyers being able to select bulls close to when they will be put into their mating herds. DIP will deliver bulls on a date to be agreed within 150km free of charge. No inspections have taken place & no bulls have been sold to breeders. Two bulls were selected for DIP use from the Autumn Herd 2017 drop were retained in Oct 2018 for spring herd mating. The 16 bulls on offer have survived an extensive culling process and all rejected bulls have been sold for meat. The initiative of the inaugural DIP Helmsman Sale, close to bull mating season, is to give buyers the fairest and most convenient opportunity to select the bull of their price range and choice. On May 9th, DIP Composites will present that choice. Diversity is strength in every aspect of cattle management & production. All the images used in this template are the property of Duck Island Partners and used with permission. Duck Island Composites, Art, Cattle, and Field Day Bulls from Keith, owned and operated by James Darling and Lesley Forwood.